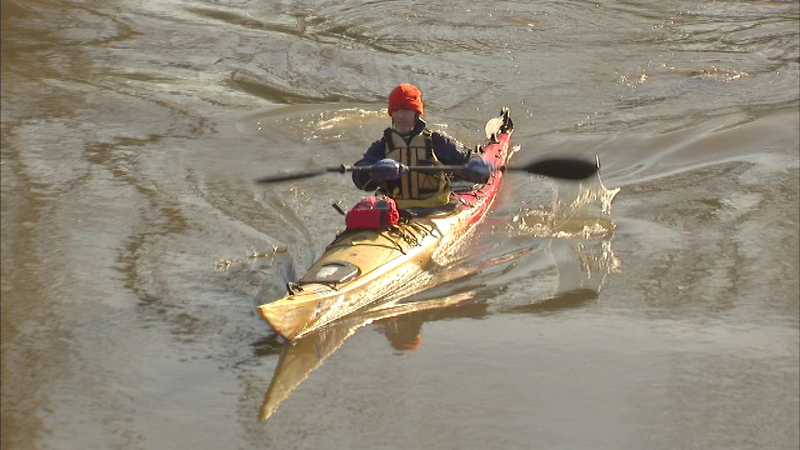 The cold temperatures could not keep paddlers away from the Chicago River, as several hardy souls headed out Thursday on their canoes and kayaks. MORTON GROVE, Ill. (WLS) -- The cold temperatures could not keep paddlers away from the Chicago River, as several hardy souls headed out Thursday on their canoes and kayaks. They traveled down the river from Winnetka to Morton Grove to celebrate "Happy Canoe Year." It's one of several events that the Forest Preserves of Cook County planned for 2015 as a way to encourage people to embrace winter.